Looks like there’s still no stopping Baahubali. This India’s biggest motion picture, after swaying its audiences across India, USA and several other countries, has just enthralled the terror hit European city of Brussels in Belgium. 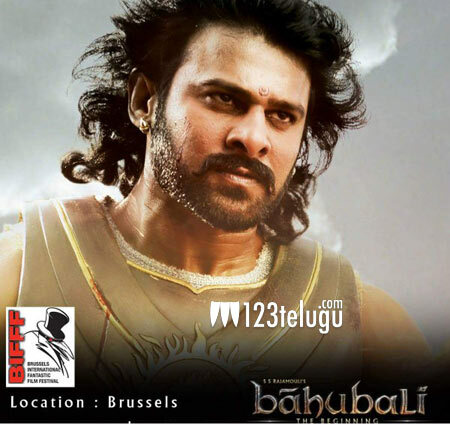 Yesterday, one of Baahubali’s producers Shobu Yarlagadda tweeted a video which showed an entire auditorium that housed nearly 900 audiences going euphoric while watching the film’s screening at the Brussels International Fantastic Film Festival. The audience thoroughly enjoyed the unique cinematic experience they could ever imagined to come from India. Meanwhile, Team Baahubali is busy with the film’s second part, The Conclusion, which is slated to open in cinemas in April 2017.